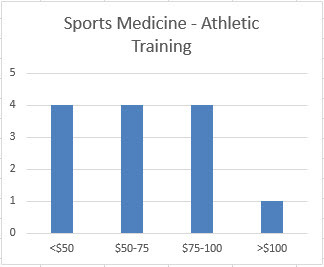 The specialty of Sports Medicine encompasses three areas: general Sports Medicine, Exercise Physiology, and Athletic Training. We have previously profiled the first two. We have received 13 titles in Athletic Training from two publishers over the past year – Human Kinetics and Slack — and, so far, we have published reviews of six of them. Prices of these books range from $21.95 to $149.00, for an average price of $71.36. Of the 25 titles selected for the Sports Medicine section of the just published Doody’s Core Titles 2018, four are in the area of Athletic Training.